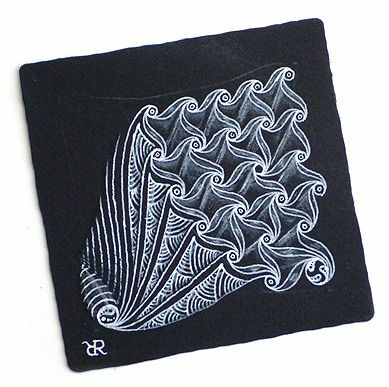 Here at Zentangle we are constantly researching and testing new materials. This is actually one of the totally awesome parts of what we do because it requires us to do lots of drawing. Most of the products we test never get very far. However, once in a while we come across something that really wows us. We think it will "wow" you, too. We call it Zenstone! "Wow" is what happened when we first experimented with using soapstone. It is a wonderful complement to our black tiles. It meets the paper with such ease and leaves a luscious, soft mark that seems to have a natural buff. 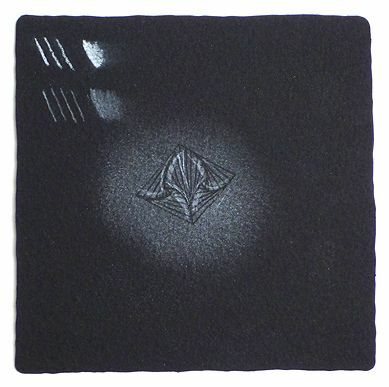 It adds an almost smoky impression on the cotton paper giving your work a suggestion of subtle nuance and experience. As your hand holds the cool weight of this soft stone, unchanged from eons ago, you feel connected to the earth in which this stone formed. Our Zenstone almost feels like powdered butter in your hand (it is called "soap" stone for a reason) and it settles into the texture of our black tiles with a buttery smoothness. 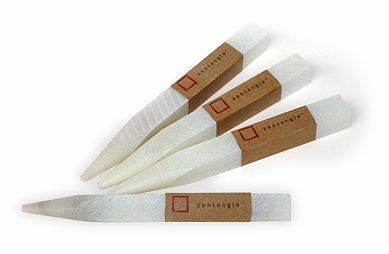 How is the Zenstone different than the White Charcoal Pencil? 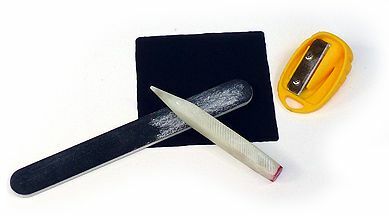 The Zenstone and the White Charcoal Pencil each have unique characteristics. The Zenstone offers a soft mark which smudges smoothly with a gentle gradient. The White Charcoal pencils tends to leave a whiter, more precise line and a more abrupt falloff to smudging. In this next example . . .
. . . the lines and "smudge" on top are done with our white charcoal pencil. Underneath that is the Zenstone's. I sharpened the Zenstone over this same tile and rubbed the resulting powder in a circle to create that "cloud." 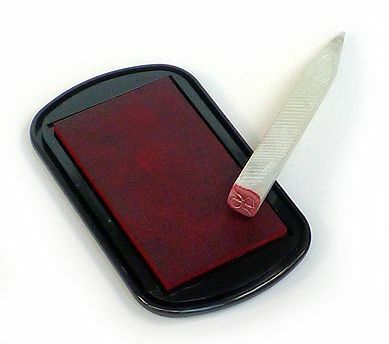 It is easy to tangle on top of a Zenstone cloud with Sakura's Pigma� Micron�. Maria uses an old manicure emery board. I (Rick) use a carpenter pencil sharpener I picked up at a local hardware store. Create Your Own Chop Our Zentangle logo is inspired by an Asian tradition of carving a "chop" as a means of signing art work and documents. Its color is from the red that was often used. The red of a chop is often the only red on art work or a document and our logo is usually the only red on any page. We leave the center of it empty suggesting both that anything is possible and that there is much yet to discover. If you're interested in creating your own chop there are quite a few YouTubes out there on this subject. Here are some examples of Zenstone in action! Each Zenstone is 4 inches long and 3/8 inch square. Zenstones are now available to purchase. 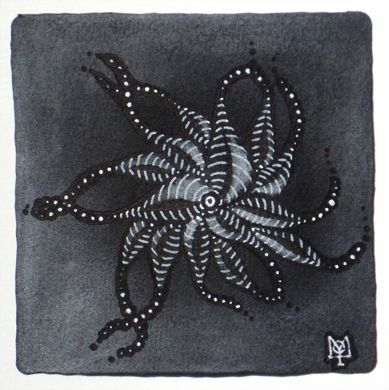 Clicking the item will take you to the Zentangle Store. Thank you again for sharing in this wonderful and creative exploration with us. 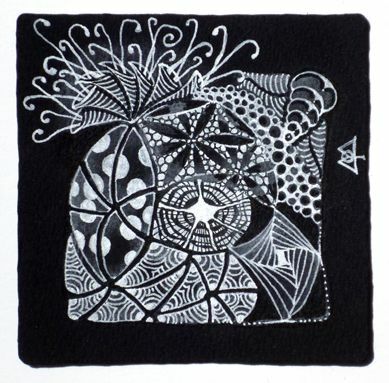 We look forward to seeing how you use Zenstone on your Zentangle creations!